I was born and raised in Fairbanks. I attended Denali Elementary, Ryan Middle School, and Lathrop High School. I previously worked for the local FOX and CBS affiliate for 14 years. During that time I went from Field Reporter to News Director. 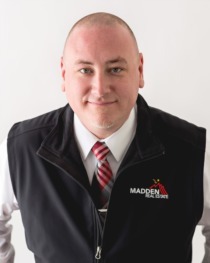 After leaving the broadcast industry, I accepted an offer with Madden Real Estate. I now work as a Buyer Agent helping families of all shapes and sizes find their perfect home. I like to spend time with family, explore all that Alaska has to offer and play with my cat, CoolBreeze.